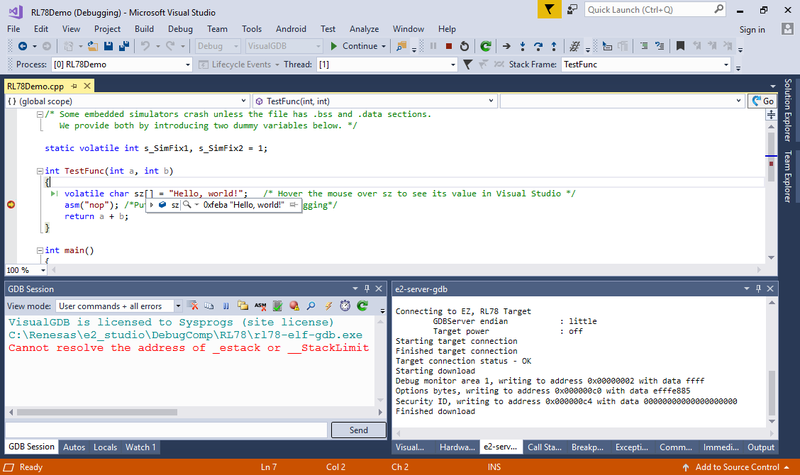 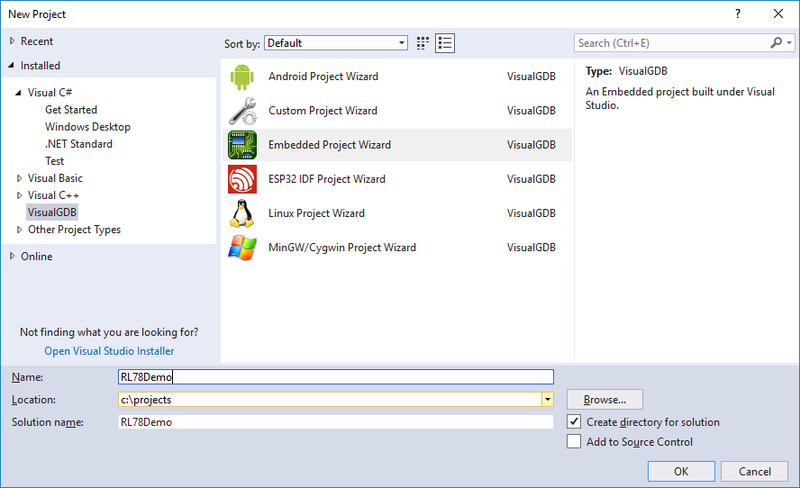 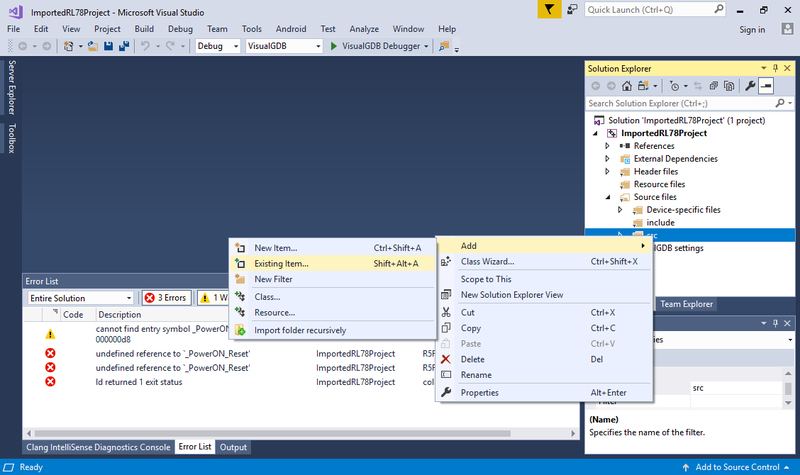 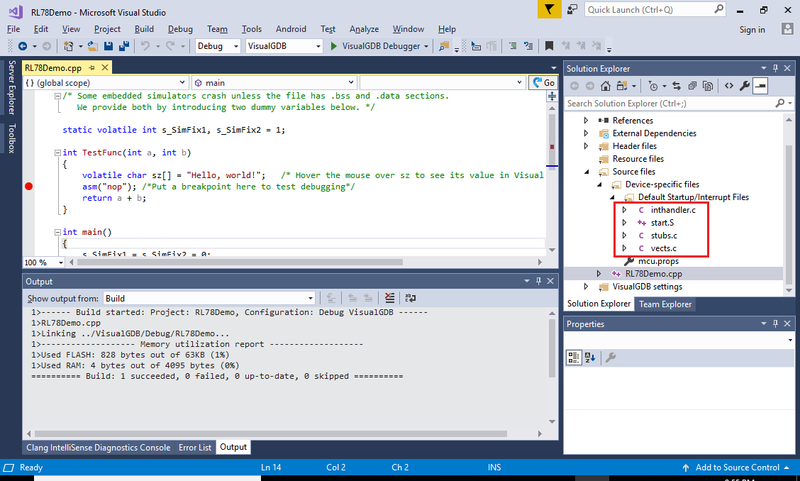 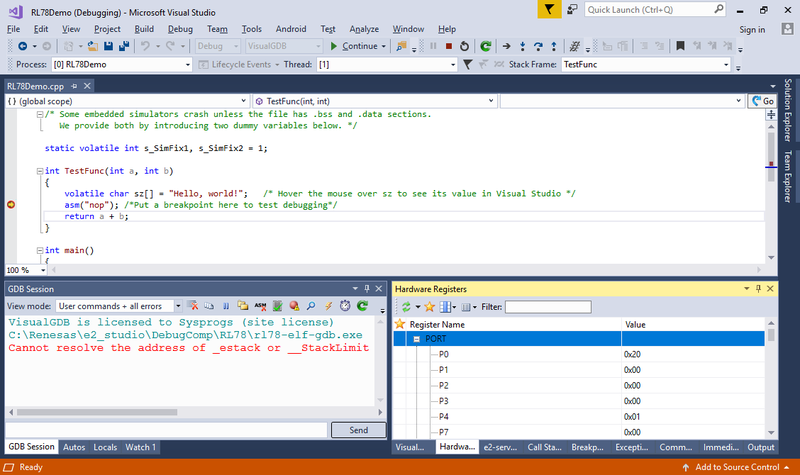 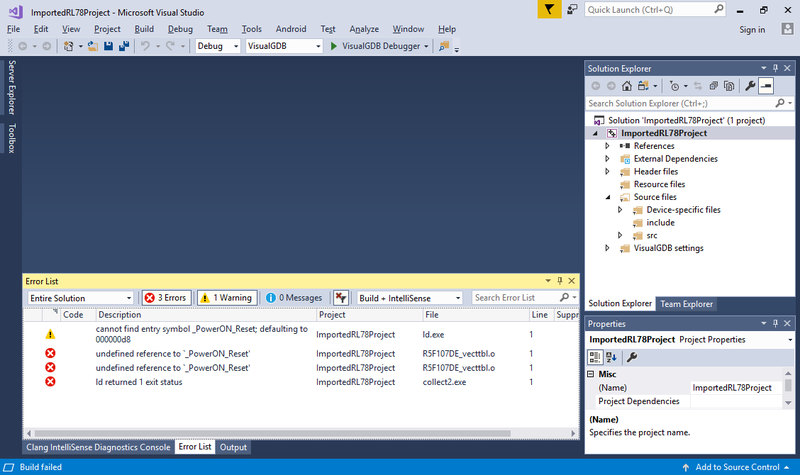 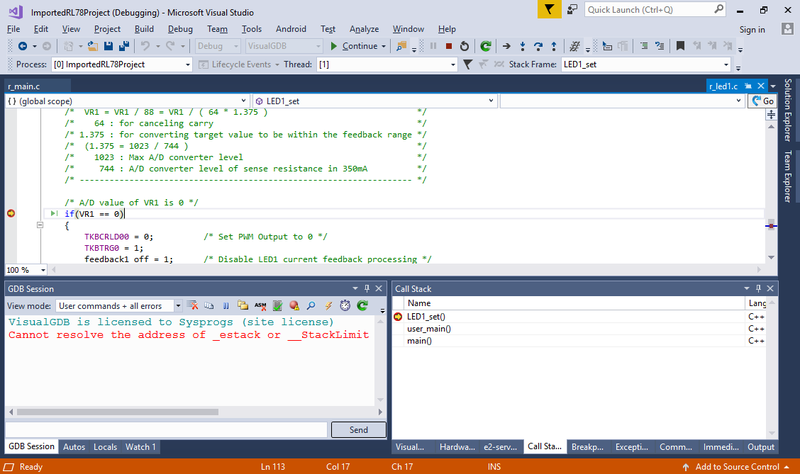 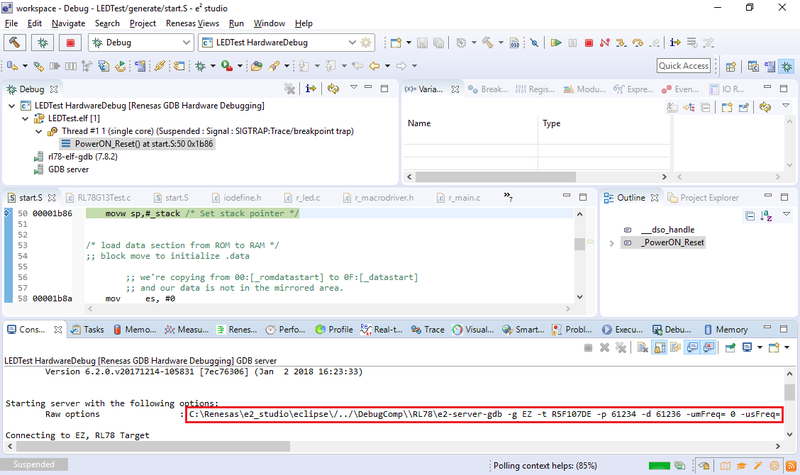 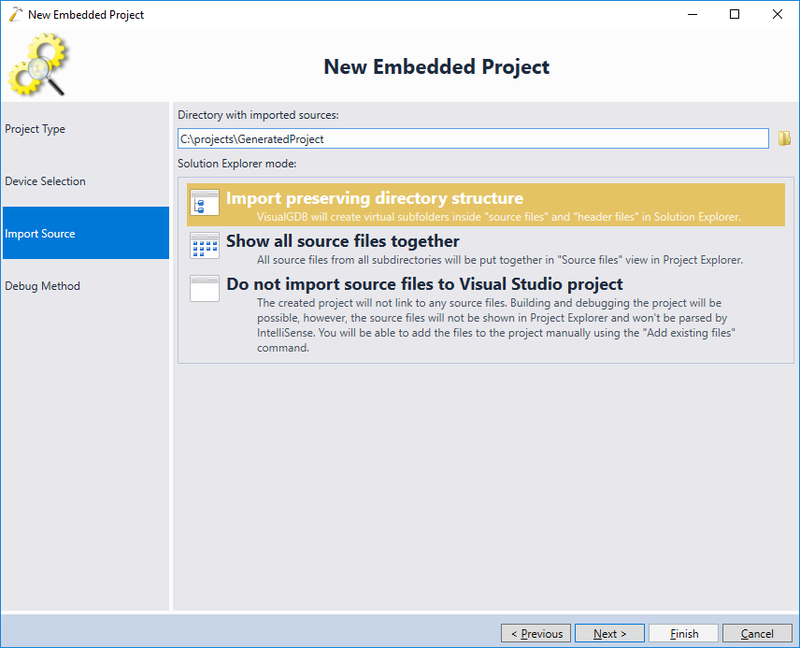 This tutorial shows how to use VisualGDB to develop and debug C/C++ projects targeting the RL78 devices with Visual Studio. 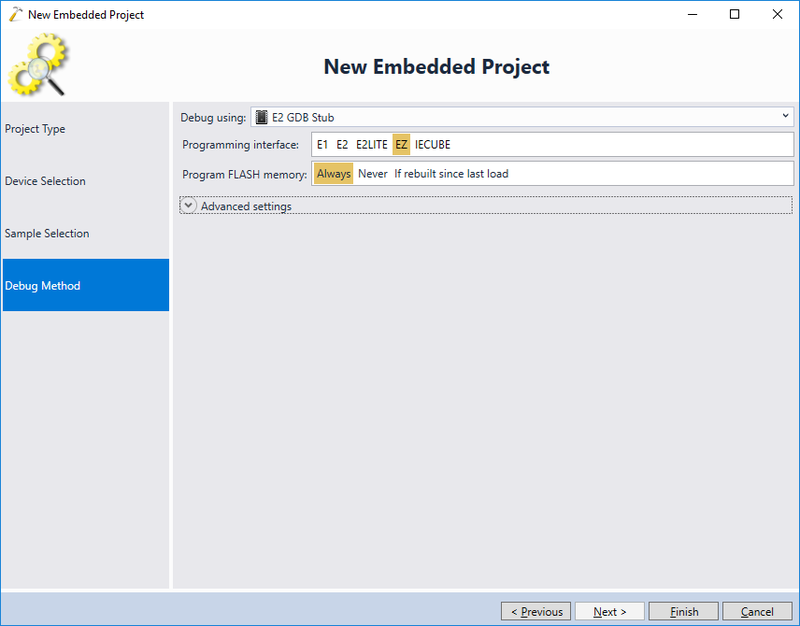 We will create a basic project for the RL78/I1A DC LED board (EZ-0012) that will turn on the on-board LEDs using the code generated by the Applilet tool from Renesas and will show how to build and debug the project with Visual Studio. 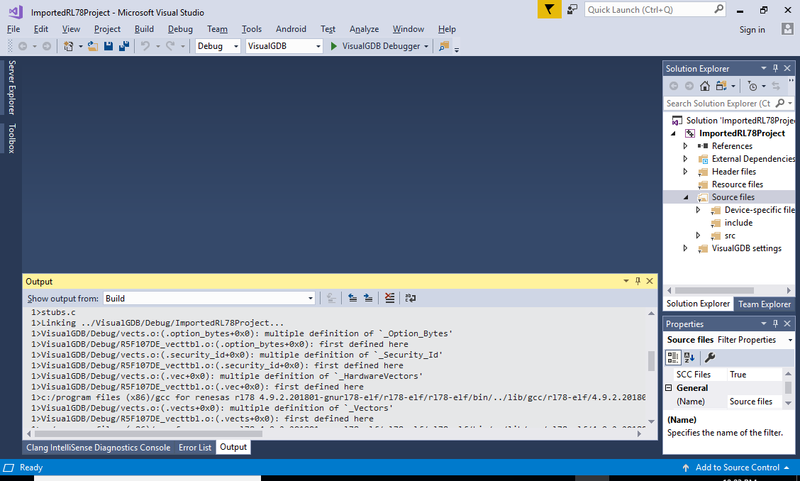 The command line may vary depending on the exact debug tool you are using. 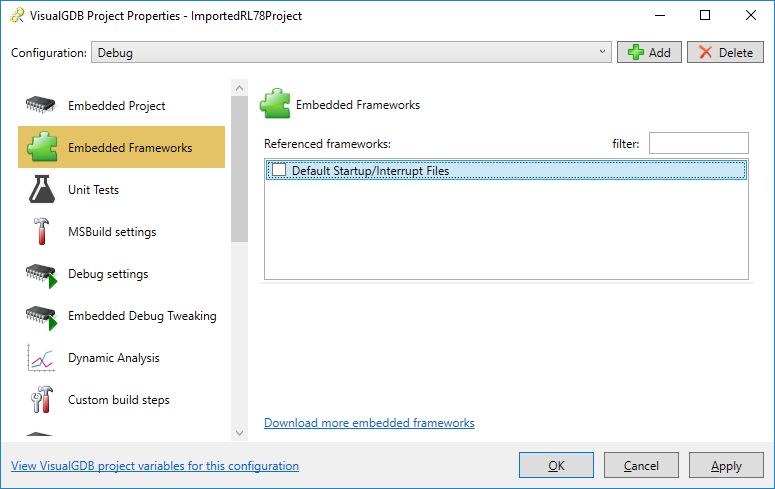 We will show later in this tutorial how to ensure that VisualGDB will use the same command line when debugging your RL78-based project. 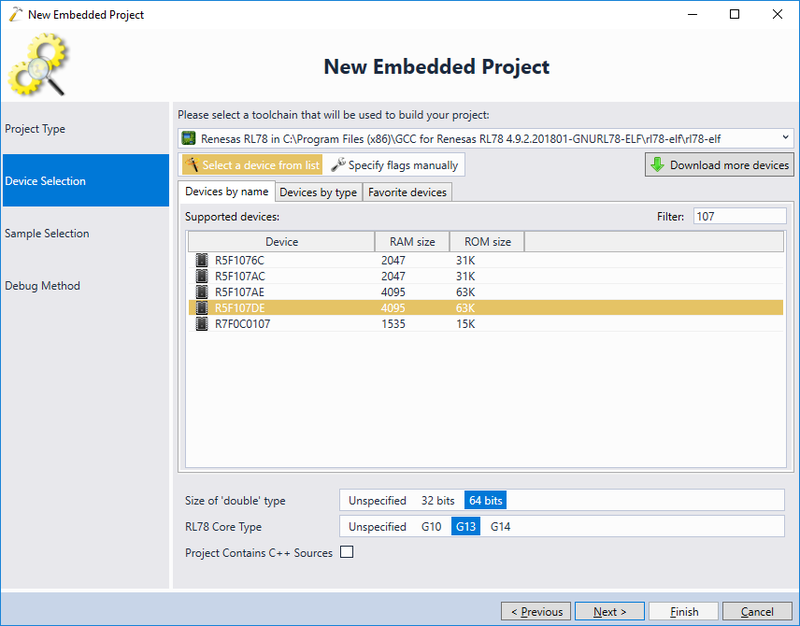 On the next page select the Renesas RL78 toolchain and choose your device from the list. 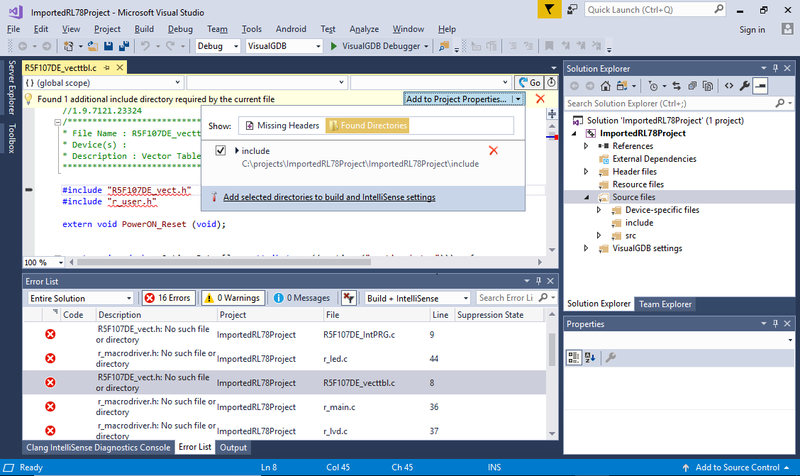 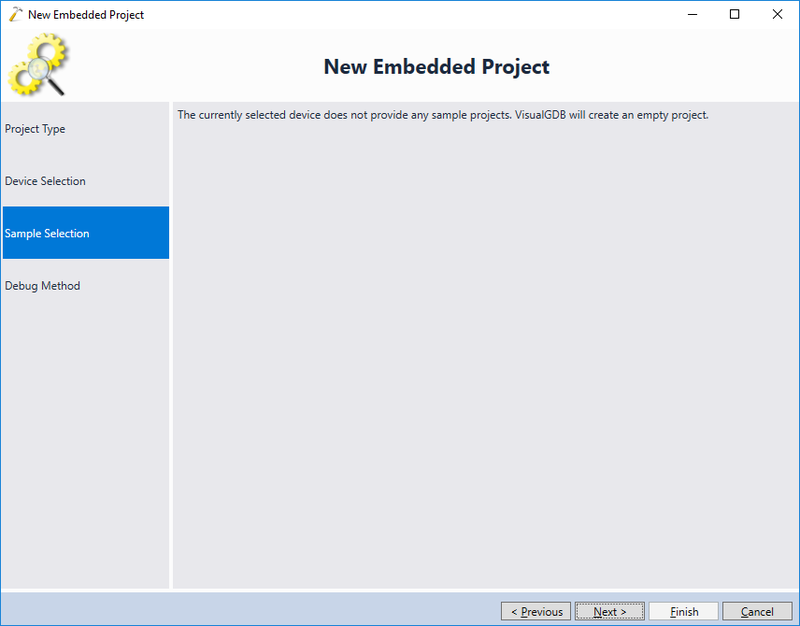 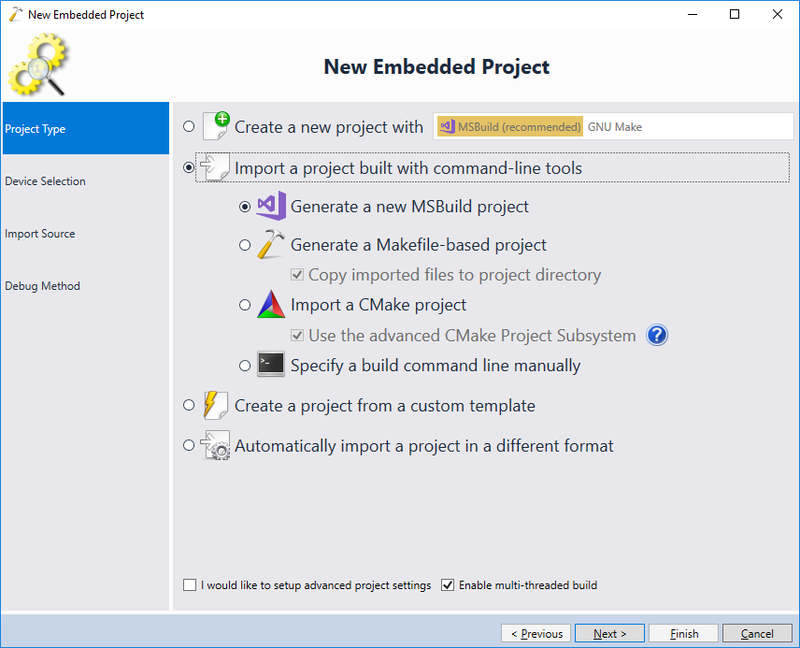 If the toolchain is not shown, ensure you restart Visual Studio after running the Renesas Toolchain Manager. 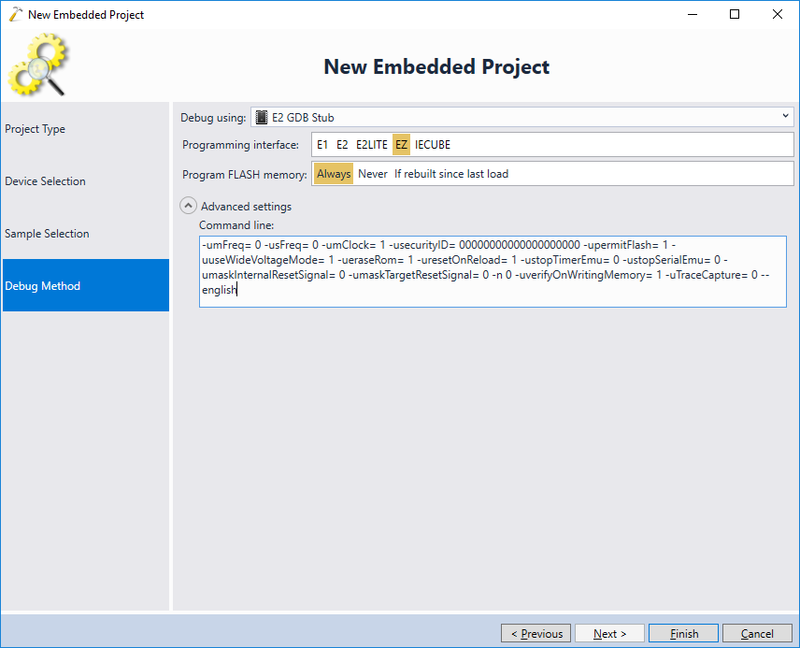 If you are planning to use C++ source files, check the corresponding checkbox in the device settings. 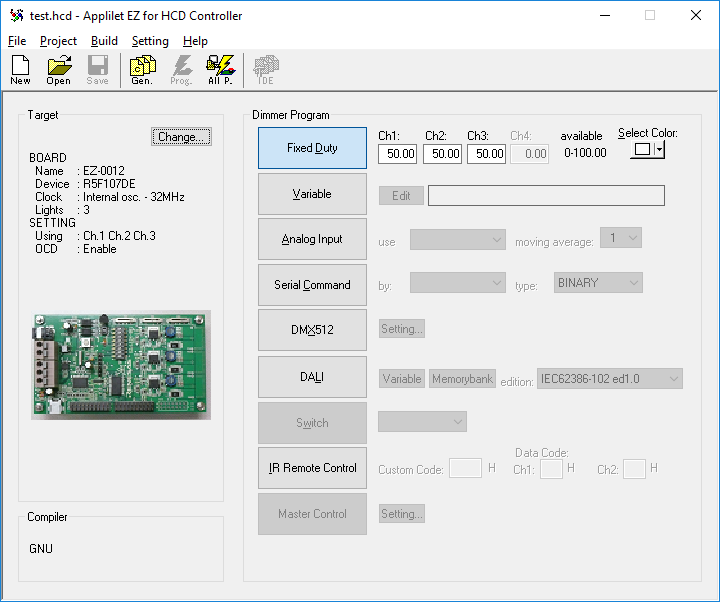 Now we will show how to import a basic project generated by the Applilet EZ for HCD tool. 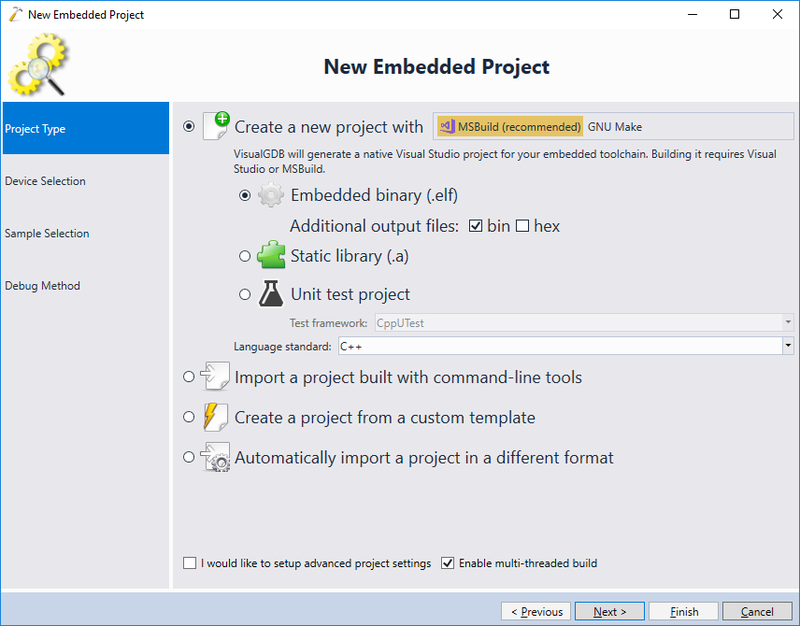 Launch the tool and create a basic project for your board, then click “Generate Code”: The generated code will normally be available in the <Documents>\Applilet EZ HCD\Projects folder, even if the tool crashes.